Blood can only be supplied through blood drives. Blood donation is the only thing that can save a patient who is in dire need of blood. In this sense, it is not too much to say that blood donation is life itself. However, the reality is harsh. 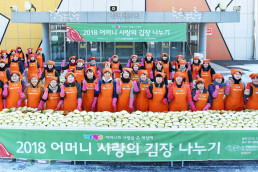 The supply of blood in Korean society today is experiencing much more difficulty with a sudden low fertility rate and population aging. 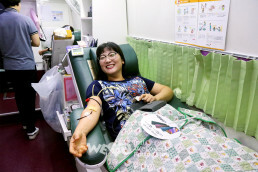 In the month of August, it is the most difficult to supply blood because middle-high school students and college students, who are the main blood donors, go on their vacation. With this, the Intl. 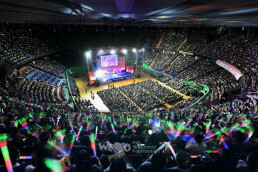 WeLoveU Foundation hosted a blood drive on the 22nd at the Daegu-Gyeongbook Blood Bank Auditorium. On this day, a total of 365 people participated in the 153rd blood drive, and 170 of them were able to donate. 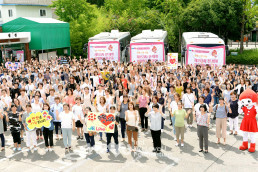 The Korean Red Cross Society at the Daegu-Gyeongbook Blood Bank supported the even with three blood donation vehicles. 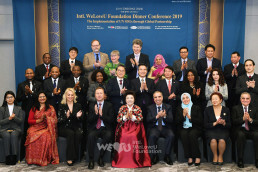 Director Kim Dong-suk and the Chief of the Blood Donation Development Ryu Gyung-ho together with the Chief Administrator of Daegu Buk-gu office Kim Chan-dong graced the occasion as well.